I recently saw Tom Burke speak at an alumni event at Imperial College London. He focussed on the politics of climate change and how we need to move discussions beyond responsibility to get the positive collaboration we so need. A recent PwC report highlights how the global economy is most likely going to miss the 2ºC target in global warming; instead at the current economic trajectory we’re likely to see global warming increase by 6ºC. Tom’s call to action thus comes at a crucial moment. Yet sustainability and environmental issues are notoriously complex, involve lots of different actors and statements like “the systems at fault!”, “consumers need to change their behaviour!” and “large corporations are w**kers they should be paying for all this!” are not so uncommon when it comes to discussing solutions. When it comes to e-waste generation, the biggest conundrum remains: “whose responsibility is it anyway? !” The issue of waste disposal is a complex one that poses challenges to policy makers. Let’s take a closer look. There are two key steps between when an electronic good fails and when it enters end-of-life processing. End-of-life processes are those that treat e-waste appropriately, so dismantling it, separating different components, reusing and recycling it accordingly. Storage influences the amount of electronic products entering the waste stream before they can be appropriately treated. Nokia published survey results on on the end-of-life of mobile phones, which revealed the difficulty in collecting phones as nearly 50% were kept in home drawers, and merely 5% were collected for recycling. This delay caused by storage makes collection for recycling difficult, and minimises opportunities to substitute virgin materials through recycling. Once an item is thrown away, it should hopefully enter the recycling system. The recycling system is made up the following processes and the effectiveness of recycling is determined the weakest link. Often, the weakest link is the disposal of e-goods, which is closely tied to our behaviour. However, not all electronics end up being disposed this way. Recycling electronics is a costly activity in developed countries, and drives the illegal exportation of e-waste to countries like India, Pakistan and China, as this is the cheaper option. In fact, over 80% of the world’s e-waste is either dumped, landfilled or illegally shipped to developing countries where it is dismantled. Therefore, correct disposal is one of the most important factors that determines high recycling rates. Where illegal e-waste ends up – remember e-waste is mostly produced by rich countries! So why are appropriate disposal rates not higher? If disposal is down to the consumer, should consumers be fully responsible? Is it fair to make them pay? What about the role of manufacturers and retailers? I argue that consumers are not entirely at fault. The lack of strong incentives, an easy disposal system and low awareness are the main drivers for low collection. Our behaviour is shaped and limited by the systems that surround us, which determine whether safe and appropriate disposal of mobile phones is easy or not. So how to tackle this phenomenon? Ideally, we want a solution that makes returning defunct and undesired electronics easy and cheap. The EU Waste Electrical and Electronic Equipment Directive (WEEE) is a flagship policy that holds producers responsible for the collection e-waste. The systems put in place for this to happen can take many shapes and form, from collection points to buy-back schemes, the opportunities for returning e-waste are improving. What’s more, the need to divert e-waste from landfill is giving rise to business opportunities as companies like Mazuma and Envirofone deliver services to individual consumers and entire organisations. But ultimately consumers will also need to raise the bar and play the role of active environmentally-responsible citizens. We bear a social responsibility, we also need to bear an environmental responsibility. Innovatively, Brazil has made all stakeholders along the lifecycle of electronic goods responsible for ensuring that it is appropriately returned to the manufacturer. From the consumer, to the retailer, the distributor and manufacturer, by law all of these stakeholders are required to ensure that e-waste enters the recycling system and is diverted from landfill. The National Solid Waste Law is the first to hold all actors accountable, and is a huge step towards environmental citizenship and solving sustainability through holistic means. Furthermore, Brazil has also introduced a national programme to driver greater environmental citizenship. The Plano Nacional para Produção e Consumo Sustentável brings together the public, private and civil society sectors in a national effort to increase environmental awareness and responsibility. The effects of the policies remain to be seen, but one thing is clear: Brazil has moved towards a more holistic definition of responsibility and is making efforts to mobilise all affected parties in an effort to advance to more sustainable behaviour and technologies. 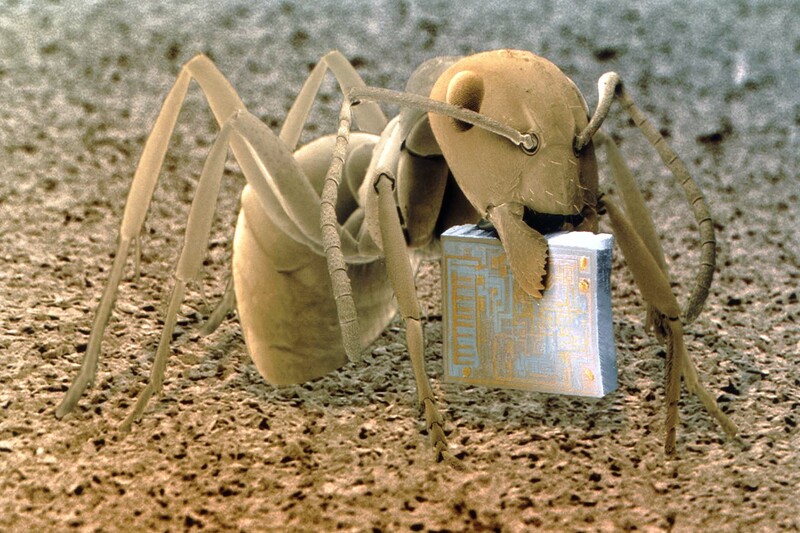 In this Digital Era of e-waste, we’re all linked to e-waste and need to pull our weight (or more, like this ant).